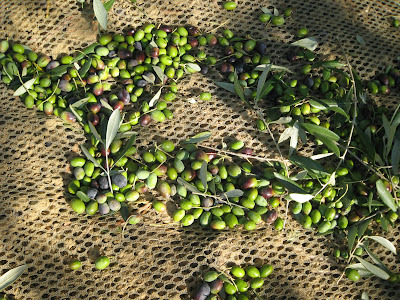 The last grapes have been picked, the leaves are turning reddish - it's time to get going on those olives. And Gerard Depardieu is with you on this one. If you join in the fun at the Festa dell'Olio Nuovo in Trequanda, you may end up sharing your first Bruschetta of the season with the French actor. He is is as infatuated with Tuscany's green gold as you and me. In fact Gerard Depardieu uses Trequanda's fabulous extra virgin olive oil in his very own restaurant in Paris. And whilst you can eat away he will have to cut out a minute on Sunday to hand out the 'Premio Giordana Carpi Oliva d'Oro'. But it's not just Trequanda - all over Tuscany people are spreading out their nets to fish for olives. From now until the end of december you can join them at one of the olive oil presses (Frantoio in Italian) to get a taste of Tuscany's prime extra virgin olive oil - freshly pressed indeed. Ask for a bruschetta, a piece of toasted Tuscan bread, and pour the freshly pressed oil on top of it. To die for! 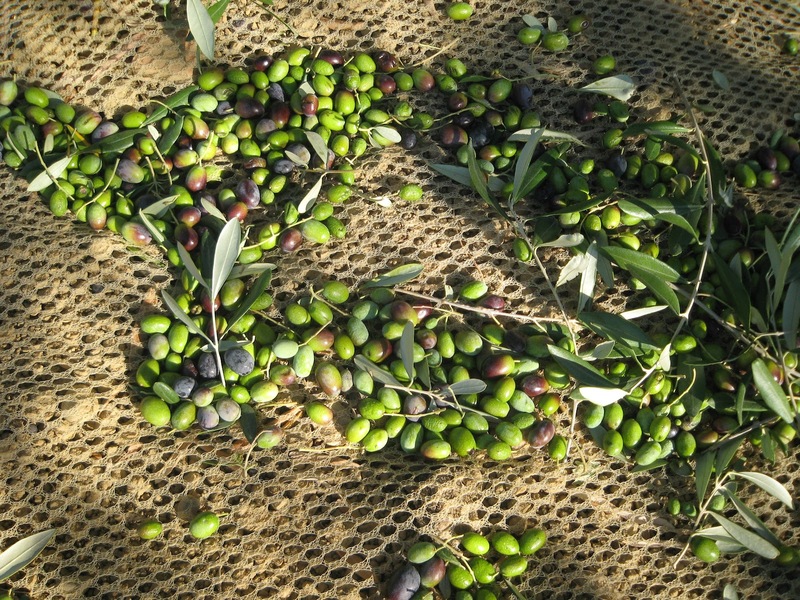 The olive presses are open round the clock from October till the end of December. And many a village uses the fresh extra virgin olive oil as yet another excuse to have a Sagra - a local festival. 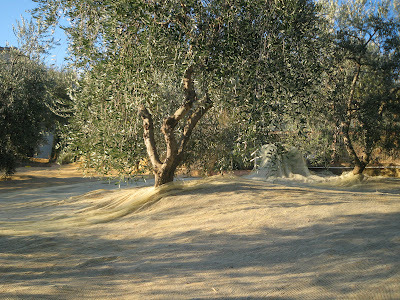 FESTA DELL'OLIO NUOVO in TREQUANDA (40 min South of Siena in the beautiful Crete Senese area). On Saturday you can join the 6km guided trekking from Petroio, where you can visit the lovely Terracotta museum. Whereas on Sunday 30th of October you can join a guided walk from Trequanda to Montisi, another beautiful medieval village close by. In case you are worried you won't get a bite to eat with Gerard Depardieu in town, try these events a bit further South. SUL FILO DELL'OLIO in MONTIANO, a lovely village 15 min. south of Grosseto, which will celebrate its olive oil for the whole weekend. FESTA DELL'OLIO in ARCILLE's olive oil presses. 20 min inland from Grosseto towards Scansano. So off-the-beaten path that I couldn't even find a website for it. Definitely worth going if you want to meet the real Tuscany and its people. Or if you just happen to travel on a shoestring budget - FREE BRUSCHETTA FOR EVERYBODY from 4pm on Saturday and Sunday, which is as close as you can get to a free meal in Tuscany.